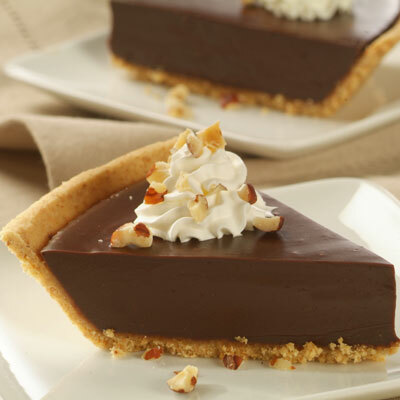 For an after dinner surprise, try the Chocolate Satin Pie. One bite and the smooth chocolate richness will have your loved ones asking for more. WHISK together evaporated milk and egg yolks in medium saucepan. Heat over medium-low heat, stirring constantly, until mixture is very hot and thickens slightly; do not boil. Remove from heat; stir in morsels until completely melted and mixture is smooth. POUR into crust; refrigerate 3 hours or until firm. Top with whipped cream before serving; sprinkle with nuts.